There does not appear to be a consistent theme for the determinants of oligo-meric complexes of GPCRs across this extensive superfamily. This should not be surprising, since the very large superfamily includes groups of receptors with quite divergent structures that have very distinct signature sequences representing their conserved patterns of residues. Although essentially all GPCRs are believed to have heptahelical architecture and to couple with heterotrimeric G proteins, even the structures of the helical bundle regions are predicted to be different for each major family, and the loop and tail regions may vary considerably among smaller groups within a given family. As noted above, the concept of crossed-domain dimerization was developed based on the rescue of nonfunctional variants and mutants of receptors  . The most common structural theme for this was the association of the portion of one receptor extending from its amino terminus to the third intra-cellular loop, comprising transmembrane segments one through five, with a second receptor carboxyl terminus extending back to the same region, comprising transmembrane segments six and seven. This was possible with the very long third intracellular loop regions shown to be present in many GPCRs, which is particularly characteristic of the structures of Family A GPCRs. It is important to again emphasize that this type of dimerization has only been demonstrated in recombinant expression systems that often have involved high levels of expression of receptor constructs. Such dimerization has not been established to represent physiologically relevant structures. The most common type of GPCR dimerization and oligomerization that has been explored involves the association of intact receptors with complete helical bundle domains. This provides the opportunity for the interaction and contribution of receptor ectodomains, cytosolic domains, or transmembrane domains. There are examples of at least two of these that have been well established with distinct receptors [20, 21] . A summary of the existing literature for GPCRs in each of the major families is listed in Table 6.1. The strongest evidence for a dimeric GPCR complex of distinct structures comes from Family C [14, 22]. Here, crystal structures of amino-terminal ectodomains have revealed covalent disulfide-bond-linked dimers. The metabo-tropic glutamate receptors are among the best-defined structurally [14, 23]. Additionally, this family has multiple noncovalent associations between the dimeric molecules, including coiled-coil interactions in the intracellular car-boxyl terminus. 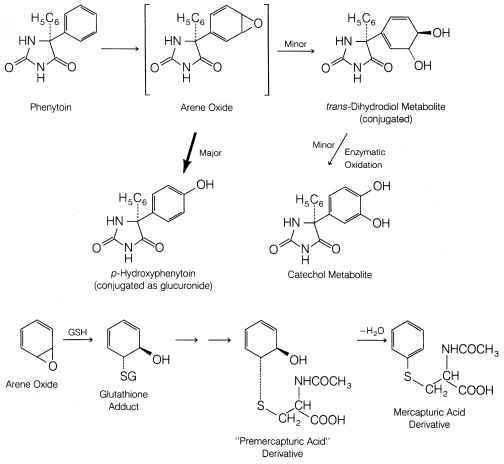 This has been demonstrated for y-amino butyric acid (GABA) receptors . Ligands bind to a venus flytrap motif in the extracellular amino terminus of these receptors. An interesting feature of these receptors is their constitutive heterodimerization, particularly noted for GABA and umami T1/ T3 taste receptors, yielding distinct pharmacology [22, 24] . The transmembrane helical bundle domain has been implicated as providing an important determinant for oligomerization in both Family A and Family B GPCRs; however, the details of these interactions have not been consistent across receptor families  . This region of the receptors has been demonstrated to be a major contributor by exclusion of other regions, for example, after truncating the associating receptors at their amino-terminal or carboxyl-terminal domains. The importance of the transmembrane domain has also been identified using bioinformatic computational approaches . One experimental approach that has been quite powerful to gain additional insight has been the use of transmembrane segment peptides to compete for the resonance transfer signal indicating GPCR association. This approach was first introduced for the p2-adrenergic receptor . In Family A GPCRs, there are examples of the importance of transmembrane segments one, two, four, five, six, and seven [26-31] . Family B GPCRs seem to be much more structurally consistent in the importance of a single helical segment (see below). +, presence of homodimers; - , absence of homodimers; C, constitutive; L+, ligand -dependent association; L-, ligand-dependent dissociation; N.D., not determined; FLIM, fluorescence lifetime imaging. The cytosolic region of GPCR dimeric complexes has also been implicated as playing an important functional role, such as the coiled-coil interaction demonstrated for some Family C GPCRs . While far from proven and not currently representing a favored concept, the possibility of one heterotrimeric G protein interacting with a dimeric GPCR complex has been proposed . The nature and stoichiometry of G protein interaction with one or more GPCR protomers in an oligomeric complex has not yet been critically examined. It is noteworthy that there is clear experimental evidence of the ability of a single, isolated GPCR unit to be fully functional [33, 34].